Quality Rugs – For the most part, the antique status of a rug is a kind of guarantee of quality and authenticity and most of the would be considered quality rugs. 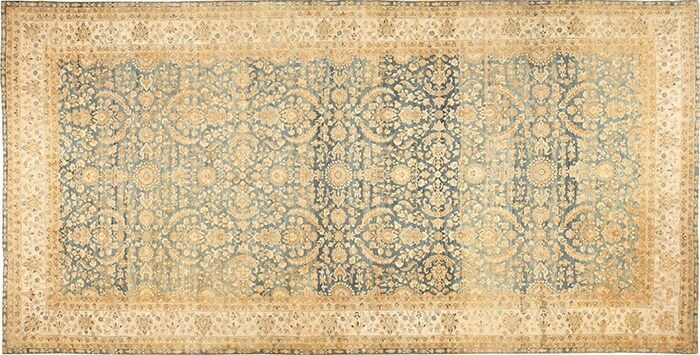 While some types of antique carpet were made in large quantities, they were nevertheless produced to a high standards of technique and design. In the course of the twentieth century, however, high levels of production led to a loss in standards / quality of rugs. Designs became simplified or mixed up. Machine-spun wool and synthetic dyes also helped to cut costs. Wool removed chemically from the hides of slaughtered sheep (dead wool) was used to produce yarns. How to distinguish a quality rug from a more commercial mass production? Designs requiring fine, tight weave were made in coarse, loosely woven technique that could be produced more quickly with less wool. All such changes cut down on cost and labor in an attempt to increase output, and in such a context many weavers whose work could not compete for foreign markets were now able to do so. When shopping for a rug, it is unwise simply to rate cost against size in assessing value. Apparently inexpensive rugs often turn out to be inexpensive for a reason – they are poorly woven from inferior materials. It is essential to learn about quality of material and manufacture, which vary so considerably, since it is this that largely determines cost. How Do I Determine The Quality Of Rugs? 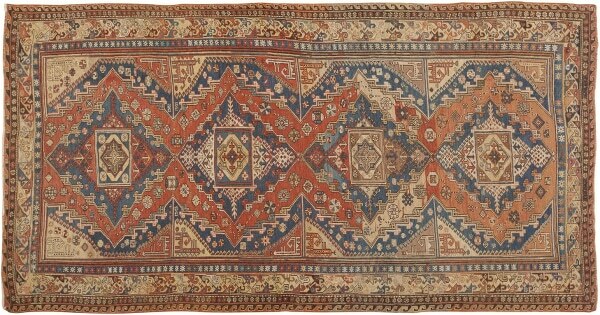 The actual quality of antique carpets can be gauged in two senses – The quality of the rug’s design and the quality of the materials used and how tight the weave is. The quality of a rug’s design is harder to quantify, and the standards by which it is judged may to some extent be subjective or personal. Designs that are well drawn and well spaced, those that use color effectively, and those that are unusual in some way are held to be superior, more valuable, and therefore more expensive. The quality of technique or weave and quality of materials are more objective criterias to go by. Wool that is lustrous and silky to the touch is durable and clearly the best. Colors that are either rich and saturated or subtle and delicate are most desirable. A rug that is tightly or densely woven is the best since it has more wool per given area and will stand up to wear better. Tightness of weave can be determined by handling the rug to see if it is firm or floppy, although very old antique rugs become supple even if tightly woven. Tightness of weave is best discerned by looking at the back of the rug. If little or no horizontal wefts is apparent between the rows of knots, the rug is tightly woven. High knot counts are not as good an indication of quality. Density of weave matters much more. 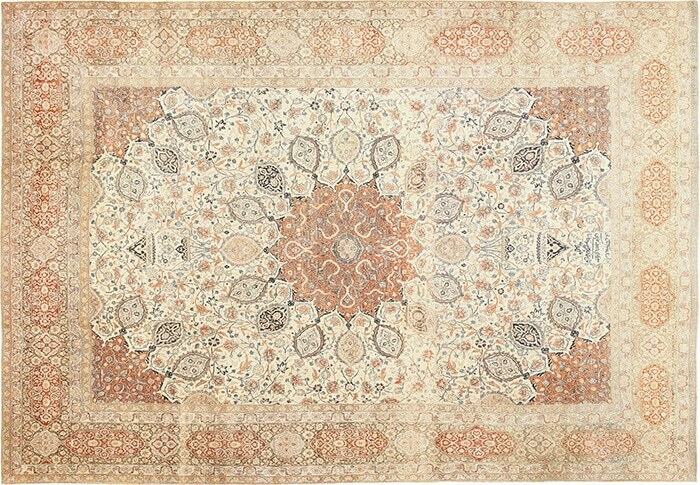 This article about quality rugs was published by Nazmiyal Antique Rugs and Carpets in NYC.